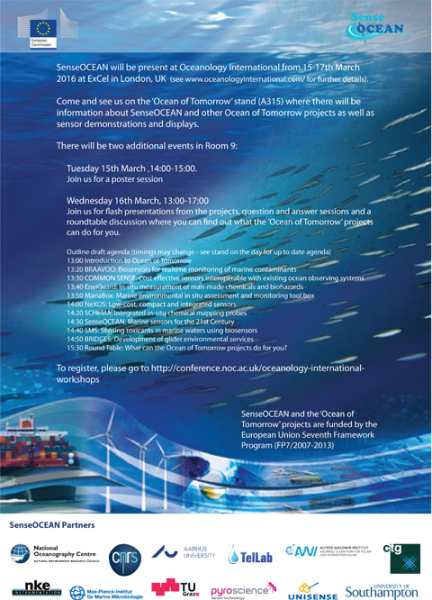 SenseOCEAN is collaborating with other 'Ocean of Tomorrow'* projects to showcase some of their latest developments in sensor research. As well as a stand and sensor demonstrations, there will also be a half day session on Wednesday afternoon (16th March) with talks and discussions. There will also be a poster session from 2-3pm on Tuesday (15th March). We look forward to seeing you on Stand A315! 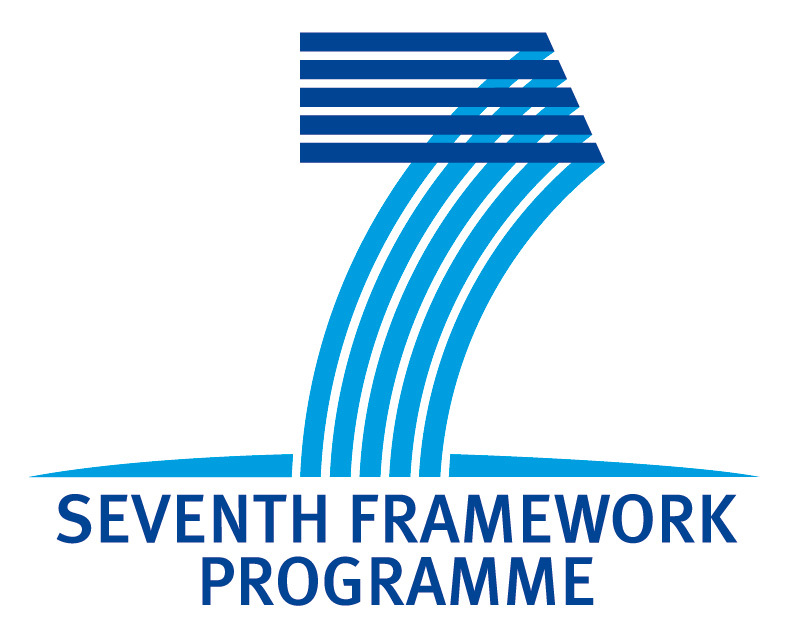 *Several projects have been funded by the European Union Framework Seven program Ocean of Tomorrow initiative. Download the brochure for more information.